According to the decret law 29/92 of July 3 and the decret law 23/93 of October 29, stipulates that every foreign investor who tries to develop his activity in Angola must proceed to his inscription in the Department of finance, obtaining a number of fiscal identification from the date he starts his activity in Angola. Depending on the dimension and the type of activity to develop in Angola, if the investor tries to establish a physical presence in the country, he might choose to register as well as an office representation or a legally company in Angola. The representation of a company has the only objective looking over the interest of the foreign company whom it represents, giving assistance and coverage to the operations of the above mentioned company in Angola. The representation of a Company lacks legal independent authority to tackle activates commercial promotion on TV or Radio in its own name. On having talked each other about a structure that one finds subject to numerous restrictions, it is not advisable to use this formula in case the foreign investor tries to exercise an economic activity regularly in Angola, or when the investment to realize performs a high value. 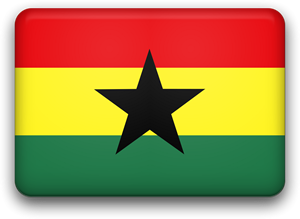 The division is the most common form of representation of a foreign company in Angola, since he allows the foreign investor to exercise commercial activities in Angola in the same conditions as a local company constituted legally in the country. The division lacks juridical proper personality, although it possesses legal aptitude to demand and to be demanded before the courts under certain circumstances. The company possesses juridical proper personality and takes the development of commercial activities as an object. In Angola the foreign investor will be able to choose for any of the five types of association contemplated by the Angolan law, such as: a corporation, a limited society, a simple commendatory society, a regular collective society and a commendatory society for actions. For more information, please consult: law 1/04, dr 13. At present, any of the juridical forms that the investor adopts to constitute legally a company in Angola needs a presence of a local associate, but the investor can also operate in his own name as merchant, in the terms gathered in the law of trade in Angola. Reduction of the bureaucratic processes in the approval of the investments. Guarantee in the repatriation of foreign capital (including the national companies constituted with foreign capital). Agricultural, processing industry, fishing derivatives, civil construction, health, education infrastructure, railroads, ports, airports, telecommunications, energy and water. The Investor have to present a certificate of record of the private investment (CRIP), jointly with the authorization of incentives, whose a copy will be sent to the Custom Office by ANIP, accompanied with a list of machinery equipments joins to the project. The record of operations of entry to the country of machinery, equipments, accessories and other materials is carried out by his value CIF in foreign currency and his exchange value in national currency, using the type of change of the day of his entry in Angola. Exemption of 5 years in the customs rights of the goods built-in or consumed directly in the production of other products, including the phases of tests, with the exception of the capital assets, accessories, and prime materials produced in the country. For these goods the investor pays exclusively the tax of stamp and it appraise for service. Exemption of up to 15 years in the industrial tax on the benefits of the investment, as well as of the industrial tax on the price of the project and of the subcontractors used for the execution of the same one. They all eliminate tax on the construction projects of highways, Railways, telecommunications, water supplying and social infrastructure for the benefits of the people, families and communities, as well as the derived expenses the professional training and investments on cultural sector, including trade of the artists\' art objects of Angolans. Investment Politics deprived of Angola’ guarantees the authorization of incentives and other facilities to the investment, the equality of treatment to nationals and foreigners investors, the protection and guarantees to the investment, as well as the regard and the fulfilment of the national and international agreements. The investors will be able to choose freely the zone or area where to invest, excepting those areas reserved and protected by the State law. To present the social object of the company, and to enclose notarial power if it is realized across a legal representative. To present a certificate of penal record (in case of natural persons). To present a list of the equipment and facilities to incorporate in the project, if it was the case. As soon as the investment was approved, ANIP will express the certificate of record of the private investment (CRIP), whose copy will be sent to the National Bank of Angola in order to authorize the entry of foreign capital across a financial institution authorized to operate on the Angolan market of currencies. The National Bank of Angola will approve the operation in a term of 15 days from the presentation of the request. In case there was some incorrectness, it will be notify to the investor in the square of five days. In Angola the considered priority sectors for the investment are the following ones: production agriculture sector, fishery sector, processing industry sector, civil construction, health sector, education sector, infrastructures, Railways, ports, Airports, telecommunications, energy and water sectors. For it numerous fiscal incentives exist to attract the investment towards these sectors. Other fiscal incentives offer also depending on the zone where the capital is invested (To, B or C). The access to the fiscal incentives is guaranteed for investments bravely minimum for 50.000 dollars domiciled in the country, or of 100.000 dollars domiciled in other countries, independently of the nationals investing in this category of investment the sectors are included propritarion and any investment that is realized in the zone c, the creation of new companies, as well as him reinvestment in destroyed companies or inactive they remain exempt from that of the industrial tax for a period of 10 years. The exemption is also applicable so much to the investments in the food, agriculture and agricultural industry, to those investments that generate more than 50 jobs for civil Angolans. The Angolan State guarantees to all the deprived investors the access to the Angolans courts for the defence of his rights, guaranteeing them a legal and just process. In case of the illegal appropriation of the private investor proprieties to the local, without legal justification, the Government guarantees that the payment of indemnization will be determinate according to the current right in the country. In case of that there were alterations in the political or economic depression in the country that result in extraordinary averages of nationalization, the State guarantees the just and diligent economic indemnization. The State guarantees to the investors the entire protection and respect to his confidentiality professional commercial bank. The rights granted to the investors deprived in the terms of the present law will be guaranteed without prejudice of others that will result from agreements or conventions from that been Angolan is an integral part. Under the terms established by the Exchange Law, the investors can transfer their dividends and benefits abroad, as soon as there were deduced the legal amortizations and the earned taxes of his respective participations in the capital of the society or company. The investors can transfer likewise abroad, the product of the liquidation give his investments (after the corresponding payment of imposed), as well as the indemnifications, royalties or other yields of remuneration derived from the indirect associate investments and transferences any quantity that owes them according to the stipulated in the agreements of private investment, once deducted through the taxes. The investments in the diamonds, oil and financial instructions are submitted to specific legislation applicable to these sectors. The investments estimated between 50.000 and 250.000 dollars benefit a reduction from 50 % in the taxes and customs valuations in the equipments imported for construction, restored, vehicles up to 3,5 tonnes and matter you occupy first place. The reduction of these taxes can reach 7,5 % in case of equipment of the second hand. The investments are exempt from the taxes on capital investment for a period of 5 years if they invest in the zone A, of 10 years in the Zone B, and of 15 years in the Zone C. The acquisition of the areas and for a Real State investment assigned to the project also benefit of exemptions in the tax of transmission of materials for a Real States. Economic and Military Stability. Everyone who knows Angola, comes across a new country today. A more dynamic and safer country, with political, military and economic stability, Angola is going through the most prosperous moment of its history. War belongs to the past. In three years alone, the country got reorganised to start its process of reconstruction. 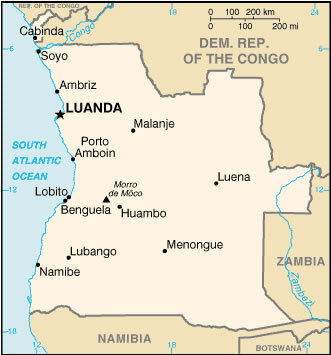 Luanda, the capital of Angola, has the characteristics of a city with a great development potential. Civil construction takes a remarkable relevance within this new socio-economic context. Several buildings are being built in various points of the capital. Restaurants and bars are offering the most varied and sophisticated dishes of the local and world cuisine. Several foodstuffs and electronic appliances are available in the Luanda market. The provinces of the Angolan vast national territory are developing, by expanding the infrastructure required for the construction of a strong nation. Angola's president is José Eduardo dos Santos, of the MPLA party. The currency is becoming stronger, day by day, stimulating the consuming habit within the Angolan and foreign populations who live in the capital and in the provinces. Political and economic stability has opened new and excellent opportunities for investment in the country. In brief, all social, economic and political aspects are favourable to progress. This is how Angola presents its new reality to the world: working together today, to grow together tomorrow. Investors will be free from paying tax on the capital invested, for a period of 15 years, when they invest in the provinces of Huambo, Bié, Moxico, Kuando Kubango, Cunene, Namibe, Malanje and Zaire. Investors will be free from paying tax on the capital invested, for a period of 12 years, when they invest in the provinces of Kwanza Norte, Kwanza Sul, Bengo, Uíge, Lundas and inland municipalities of Benguela, Cabinda and Huíla. Investors will be free from paying tax on the capital invested, for a period of eight years, when they invest in the provinces of Benguela, Cabinda and Huíla, and in the municipality of Lobito. Law 10/94 of August 31, 1994 establishes the general rules governing the privatization of state-owned small, medium and large companies, and other state properties. An exception is housing owned by the state, regulated by Law 19/91 of May 21, 1991. Under this law, privatization can be either total or partial. It encompasses both the transfer of the ownership and/or divestment of operations, assets, or capital stock of the companies to be privatized. Before privatization takes place, an appraisal is performed by a duly accredited entity. Privatization takes place, as a rule, through an IPO, albeit bidding may be restricted in exceptional cases.